There is no problem with 27. I prefer odd numbers anyway, so this should be better that 26 :) And until my average speed on the racing bike (on a one hour time trial effort on a flat course) – in kilometres per hour – is above my age – in terrestrial years – there should be no problem. So I do not have any problems with my age yet. This is good. This entry was posted in Uncategorized and tagged bicikli, birthday, cycling, edzés, english, meteorológia, meteorology, phdinleuven, születésnap, training on February 3, 2012 by Péter I. Pápics. This entry was posted in Uncategorized and tagged english, la palma, meteorológia, meteorology, observing, phdinleuven on May 14, 2011 by Péter I. Pápics. The fourth night was finally photometric, with low humidity (8-20%) and stable seeing, so I could observe the targets from our main program. (Yeehaw!) The start of the night was a bit scary though, as the humidity went up to 86 percent during dinner, but then, in one hour it dropped down below 15%. I have never seen such a rapid change in my life. Anyway, just to show something new, I merged some frames together from the footage of the 3rd night, to create photos with star trails. Thanks to the perfect conditions, the time lapse video of this night is probably the most boring one, but it is still quite nice, I think. 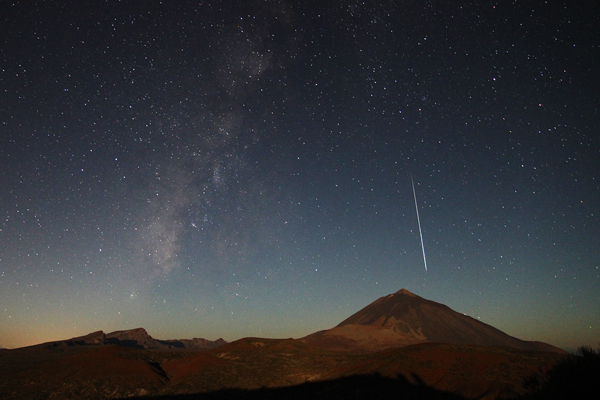 And if you watch carefully, you may notice a bright meteor just above the Teide around moonrise. Ok, for the lazy ones, and those, who want to have a look lasting longer than 1/24 seconds, I show you the frame with the shooting star. 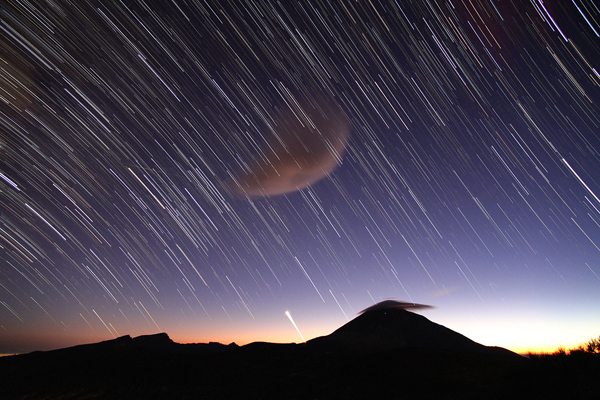 This entry was posted in Uncategorized and tagged csillagívek, english, észlelés, fotó, meteor, meteorológia, meteorology, observing, phdinleuven, photo, startrails, tenerife, time-lapse, video on September 30, 2010 by Péter I. Pápics. 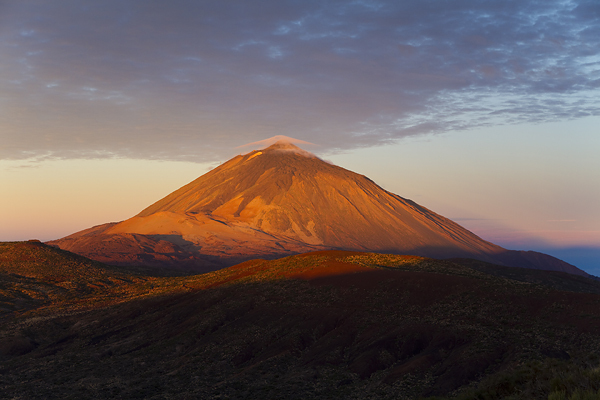 Finally, the third night brought good weather over Tenerife. The humidity was still not low enough to have cloudless skies (so no photometric conditions), but what is not good for astronomy, that can be perfect for photography. 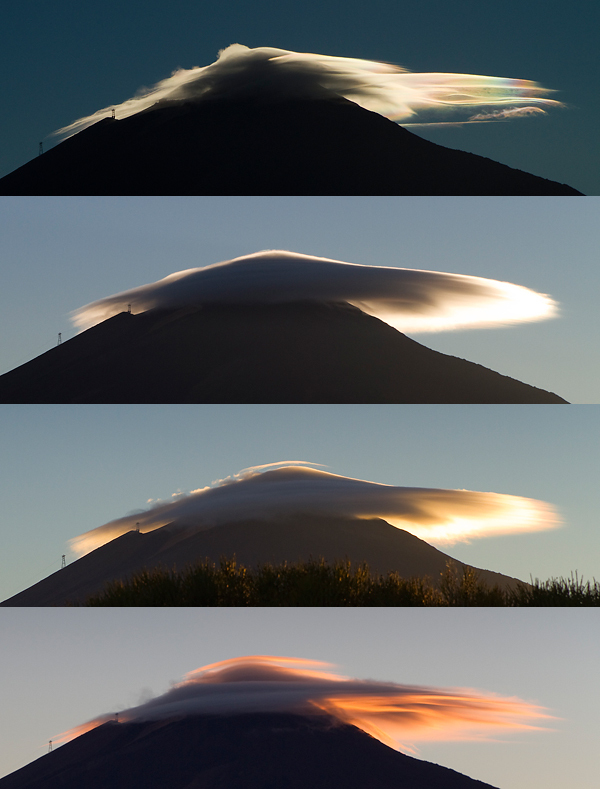 The clouds at the peak of the Teide were amazing. And as the sunset came closer, the colors and shapes kept changing continuously. 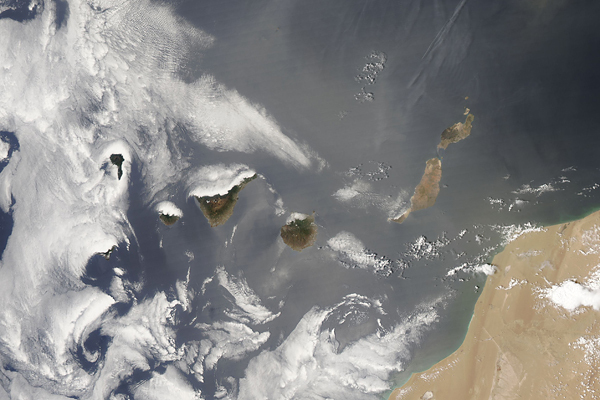 Then – as almost every day – the shadow of the volcano was again visible over the sea towards Gran Canaria as the Sun moved below the side of the mountain. 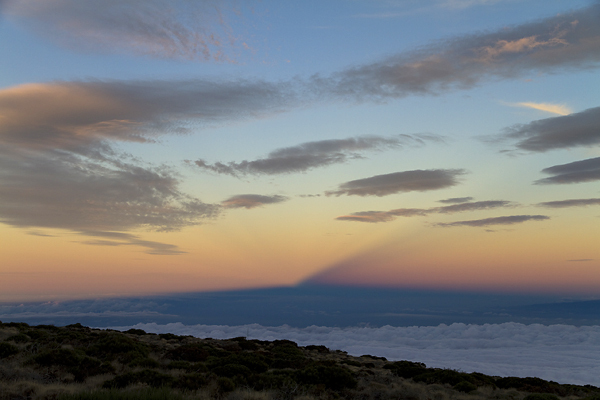 Yes, what you see below is the shadow of the mountain’s slope (the dark rays from the middle towards the top right)! 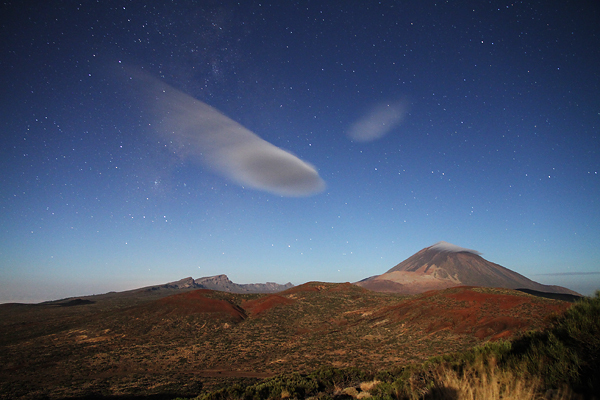 There were some clouds during the night, but not that many – most of the time only the Teide’s lenticular cloud was hanging over the moonlit landscape. I made a time lapse again, which can be seen here. I have some nice things to show in tomorrow’s post already (it was really hard not to include it right now)! 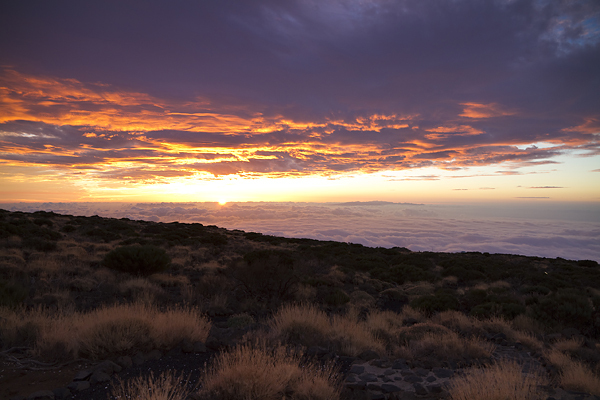 This entry was posted in Uncategorized and tagged english, észlelés, fotó, meteorológia, meteorology, observing, phdinleuven, photo, tenerife, time-lapse, video on September 29, 2010 by Péter I. Pápics. Ok, the second night was not good for science. Again. 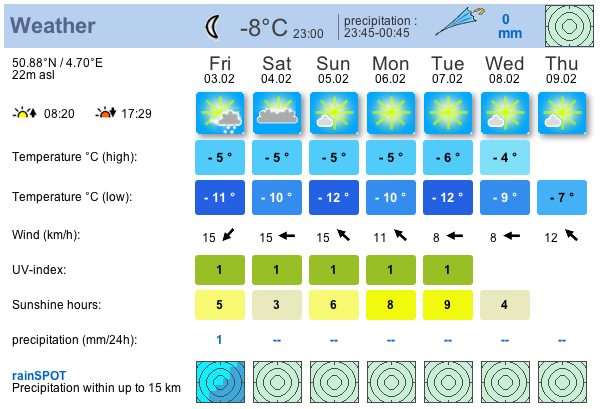 This is a bit strange, as I usually do not have 2 consecutive nights of bad weather. 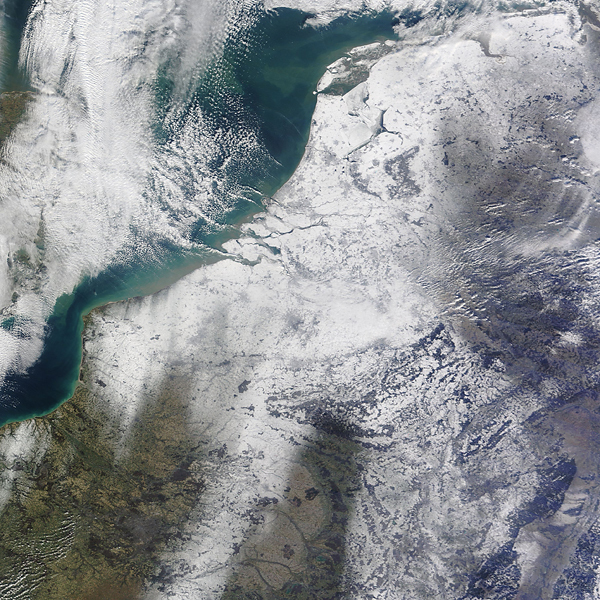 As far as I can remember, it only happened once, during a really harsh winter in Hungary. Anyway, the humidity was too high to operate the telescope (80-100%). But at least, the atmosphere started to clear up, and the dust was gone already, so I had high hopes about the forthcoming night (which happens to be right now, when I write this – and yes, I was right, we are getting data at the very moment). Still, as it was not sure, that the humidity would stay high all night, we stayed at the telescope. In the third quarter of the night, some clouds came from the NW, and stayed until sunrise, creating a beautiful background for my pictures. 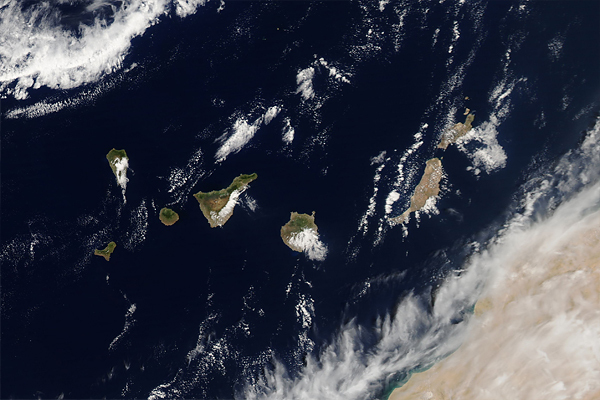 Finally, for the first time since I am on the island, I could see Grand Canaria and La Palma in the distance (as the atmosphere became clean enough for it). 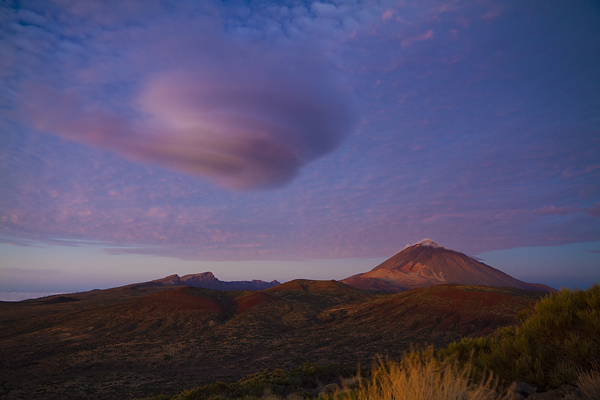 There were amazing lenticular clouds on the sky again, formed by the uplift from the slopes of the Teide volcano. I really wanted to leave as soon as the time lapse of the night was finished (though I made a minor mistake after I changed the batteries for the first time during the night, the video can be seen here), but I could not, as the landscape was so amazing, that I had to take pictures for like a half hour until I finally managed to go down to the residencia. 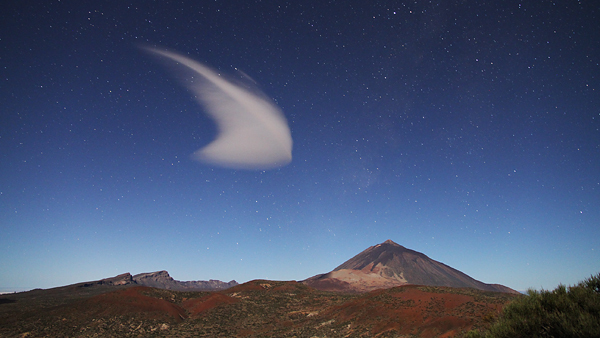 This entry was posted in Uncategorized and tagged english, észlelés, fotó, meteorológia, meteorology, observing, phdinleuven, photo, tenerife, time-lapse, video on September 28, 2010 by Péter I. Pápics.